There’s nothing like a farm breakaway to recharge the batteries and clear the mind. 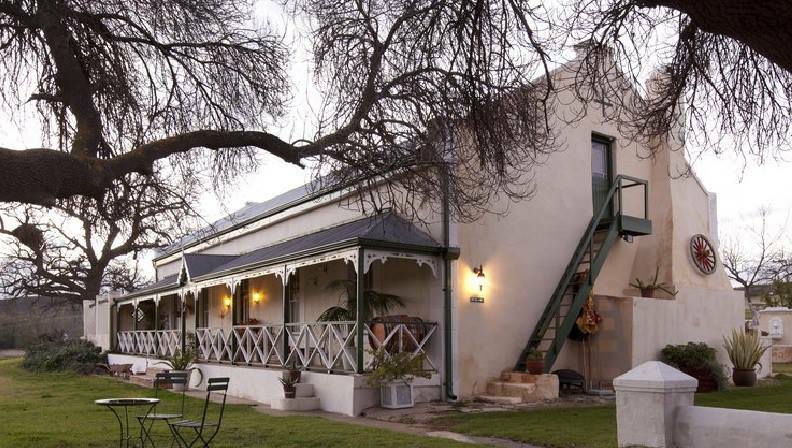 People in the Western Cape are spoilt for choice when it comes to farm style accommodation. 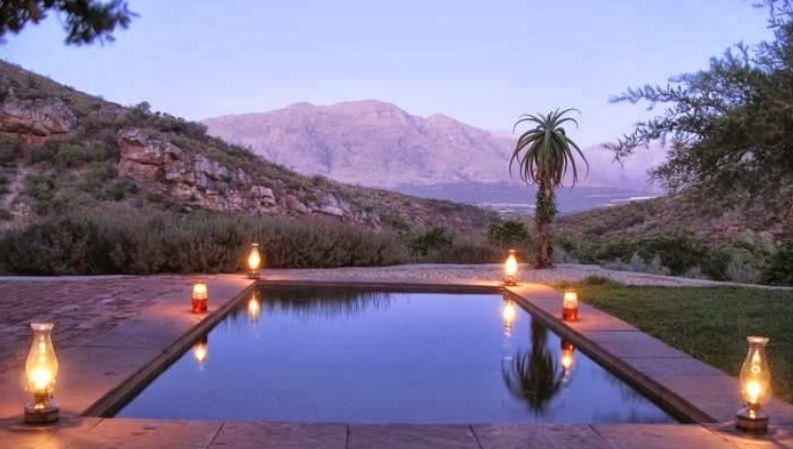 Areas like the Overberg, Boland and the Robertson Valley have all become popular weekend destinations for people from Cape Town who are looking for a getaway. Farm style accommodation has become the most popular form of accommodation for these city dwellers as it takes them away from the hustle and bustle of everyday city living and recharges the batteries. We have gathered 11 amazing farm style getaways that will do just that. 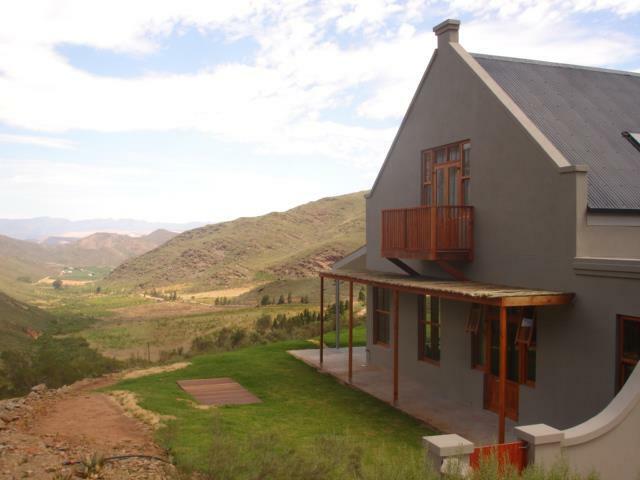 This cottage is situated on Glen Oaks, a working pig farm just outside of Caledon in the Hemel and Aarde Valley. The farm has three units of accommodation that can be hired. They have the Wood Cabin that accommodates up to 4 guests; it also has a swimming pool and braai area. The campsite accommodates up to 30 people and must be booked out by one group which means it’s exclusively yours during your entire stay. There are hot showers and flush toilets available as well as a large boma with a pit braai. The flagship attraction of the farm is the Stone Cottage. The cottage has no electricity which means the two fireplaces and the lanterns will keep the house lit for the duration of your stay. There is a big Victorian style bath that is topped up by a gas geyser that you can lie and relax in. During the lazy summer days you can relax on the sundeck in front of the house next to the rock pool. The farm offers visitors a space to explore nature by going on nature walks and bike rides or by swimming in the farm dam. If you’re a foodie then be sure to place an order for the Parma Ham, Coppa Ham or Salami that they make on the farm from their free range pigs, they’re all delicious. The history of Kersefontein goes back to 1770 when Martin Melck bought this piece of land and turned it into a cattle and sheep farm. Now over 240 years later this farm is still being farmed by the Melck family. 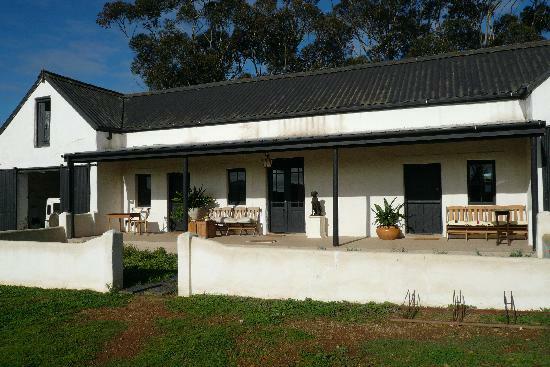 Julian Melck the 8th generation Melck family farmer on Kersefontein, saw the tourism potential of the farm and turned a number of the farm buildings into accommodation units, to accommodate city dwellers who are seeking a peaceful farm breakaway. The farm offers many different types of accommodation, there are the African Rooms, The Gatehouse Cottage, The Victorian Suite and the Madras Violet Room. The beauty of the farm has not gone unnoticed by the world’s film and print media industries. Many music videos and television commercials have been shot on the farm along with catalogues and editorials for various international clothing brands. The farm offers guests the opportunity to once again enjoy the simple things in life like reading a book or walking in nature. As this is a working farm, clients can experience the day to day farming activities like honey farming that is done on the farm. The farm’s staff serves up delicious meals in a beautiful old dining room which gives guests a feel of what dining would have been like on this farm over a hundred years ago. There is even a pub on the farm where you can go and drink a cold beer called Turn & Slip. This family farm has a beauty and history that will intrigue you from the moment you enter through the gateposts. “The perfect place to do nothing at all”, that’s how the owners of the farm market this quiet and picturesque farm. The old farmhouse has been renovated and decorated with antique pieces, beautiful paintings and unique murals. You might think that it’s the tranquillity and the beautiful buildings on the farm that bring people back, but it’s the food that is served at Halfaampieskraal that brings them back. The farm breakfasts, mutton pies and seafood paella are the stars of the rustic menu. Breakfasts are usually served outside if weather permits, while a three course farm cooked meal is served in the dining room. 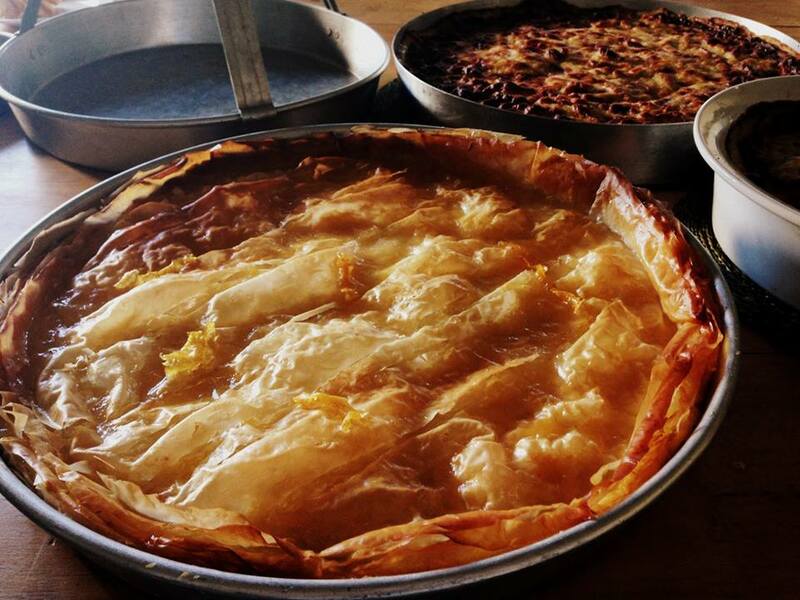 In-between these two delicious meals you can explore the nearby villages of Caledon, Klipdale or Napier. 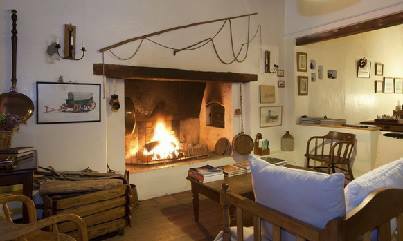 If you’re like the majority of the visitors to the farm you’ll be happy to just relax on one of the couches next to the fireplace or on the terrace with a good book, embracing “the perfect place to do nothing at all” philosophy of the farm. This working goose, sheep and wheat farm is the perfect foodie/farm escape where you can revitalise the body and mind. 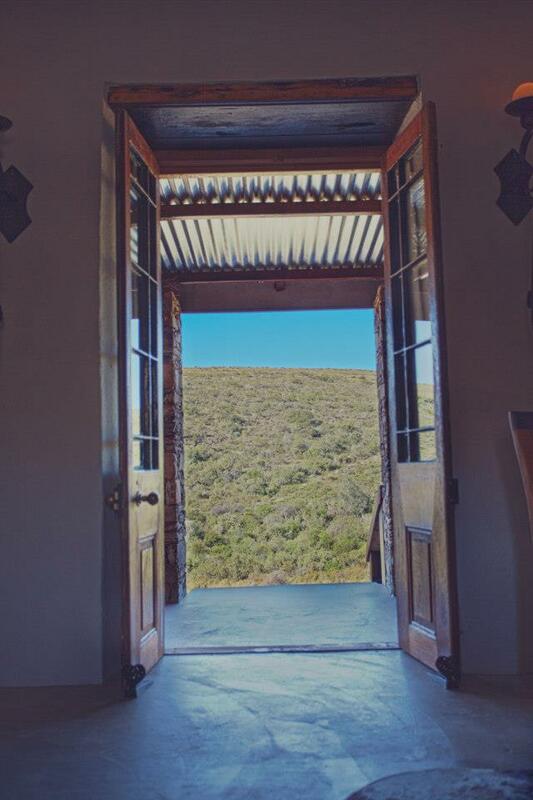 Snyderskloof is a couple of kilometres from the famous town of Matjiesfontein where the Lord Milner Hotel has been charming visitors for over 100 years. 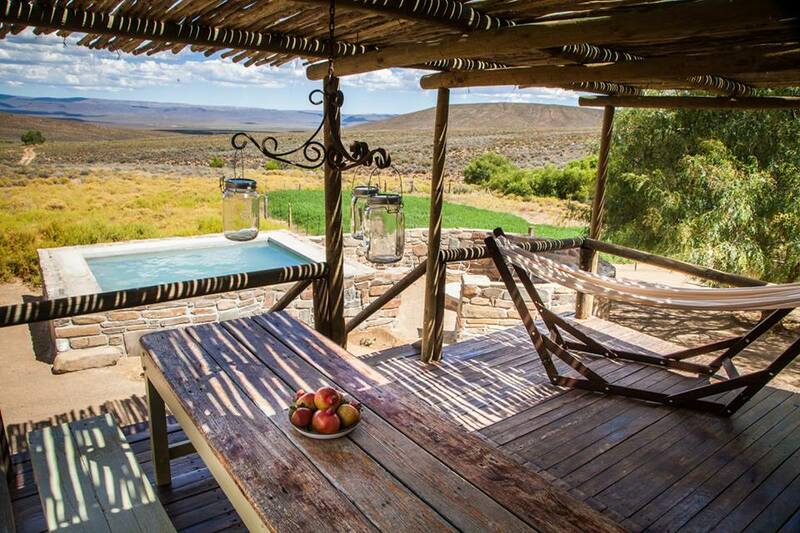 The farm is situated in the Karoo around 260 km from Cape Town. 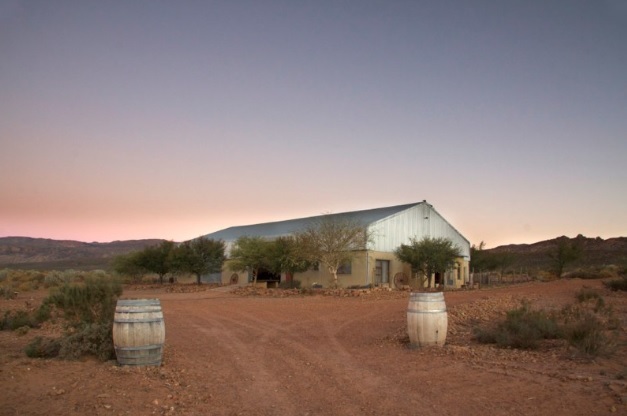 The Karoo itself gives travellers the opportunity to experience untouched nature, while Snyderskloof provides the perfect venue for travellers to do just that. With no electricity this farm will let you escape from the trappings of modern living like television and the internet. You have to bring all your supplies with you because the nearest grocery store is around 45-km away. The gas fridge will keep the beers cold for the sundowners while the cast iron kettle on the gas stove will heat up the water for your early morning coffee. The guest cottage can sleep up to 6 people in two bedrooms. It has a gas geyser for hot showers, an inside fireplace to keep you warm during the cold winter nights and an outside braai area with a pool for the warm summer nights. 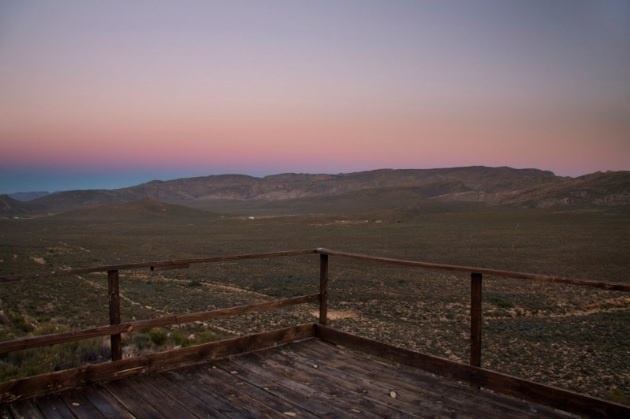 At the Snyderskloof Karoo Cottage you can experience the tranquillity of the area while staring at the starry sky for which the Karoo is famous. This working sheep farm is situated in the Overberg Valley outside of Stanford. Here you can roll up your sleeves and get down and dirty with the farm labourers by helping them with their daily farm chores, like milking the goats and collecting the chicken eggs for your breakfast- couldn’t get any more free range than this farm. Breakfast on the stoep is the best way to start the day after which you can go and explore the beautiful Overberg valley and the Overstrand Coastline. The farm has a Homestead and three cottages that you can rent. 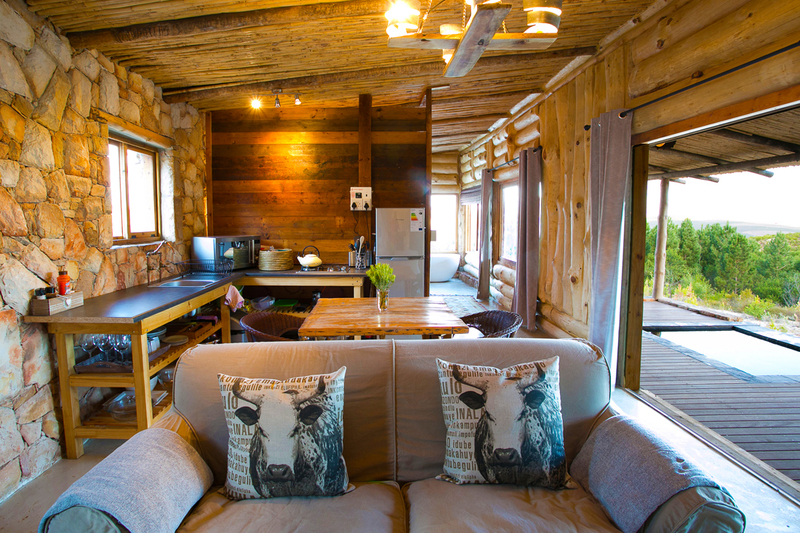 The homestead is perfect for a larger family as it sleeps up to 11 people in comfort. 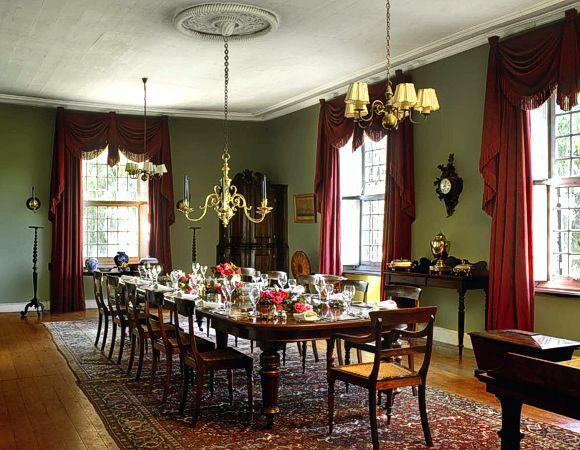 The dining room has a long table where you can have great family lunches or suppers, something that has almost disappeared completely because of our fast paced/ time strapped city lifestyles. 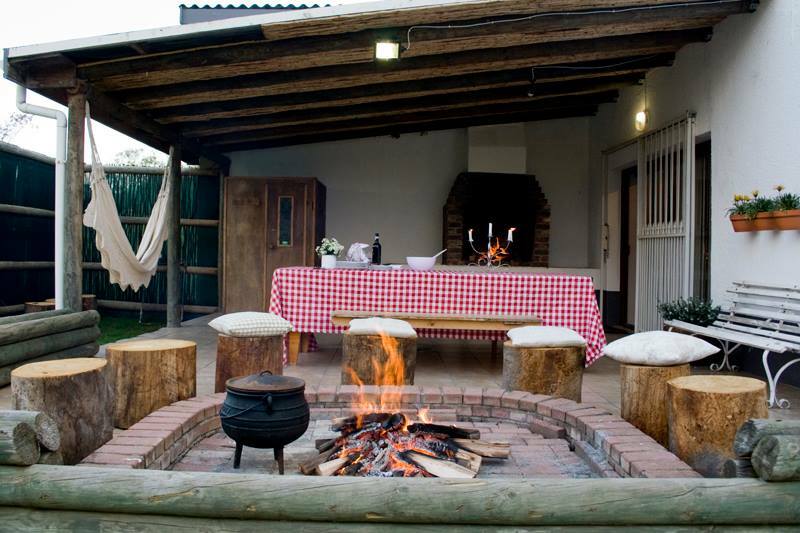 The outside braai area and the fire pit is where you’ll be spending most of your time, listening to the sounds of the farm while staring out over the beautiful Overberg Valley. The two cottages, Dormer and Merino, are for smaller families and for couples seeking a romantic retreat. The cottages have been beautifully renovated with the fireplace in the living room being (according to us) the masterpiece. The built in outside braai and the large verandas will keep you outside like a good farmhouse should. 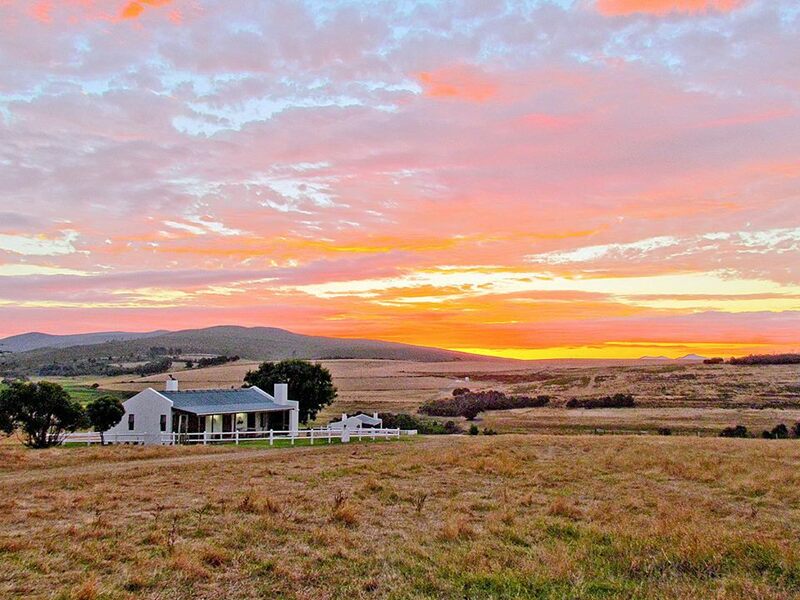 Landmeterskop is the perfect base for you to go and explore the fynbos covered Overberg valley or the world famous whale watching town of Hermanus or even the shark cage diving capital of the world, Gaansbaai. There will always be something to do in the area, but if there isn’t then light the fire on the stoep, grab a board game from the games room in the homestead and spend some quality time with your friends and family, that’s what a farm breakaway is all about. 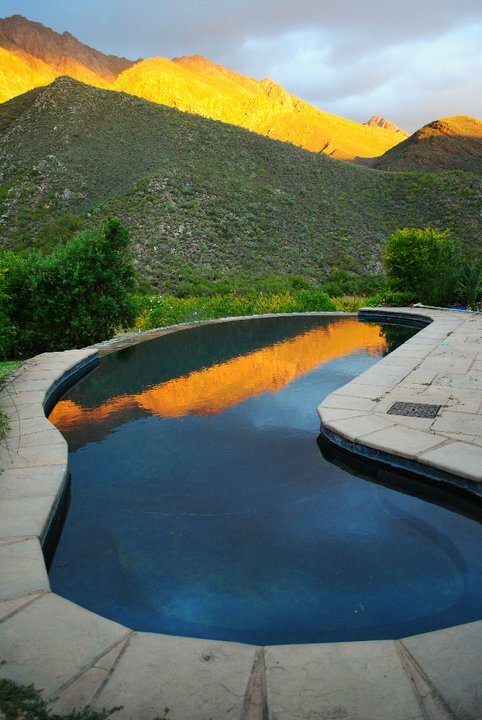 Situated at the bottom of the Langeberg Mountains, Tierhoek is a guest farm that offers something for everyone. The working fruit farm has 6 different houses that you can rent out, from a 1 bedroom cottage to a 5 bedroom farmhouse. Each unit has been fully equipped with a private pool, indoor and outdoor fireplaces, full on kitchens and large verandas which come standard with beautiful views. The Pepper Tree Cottage and the Stone Cottage are very popular among couples seeking a romantic getaway. Both only sleep two guests in a private romantic setting, with the Stone Cottage being the more luxurious of the two. The cottage has a large Victorian bath, two outside showers and a deep plunge pool for you to heat up or cool down in. The Fig Tree House is for large families and big groups of friends. The house sleeps up to 10 adults, has a big pool and outside braai area and for the weekend sport lovers it also has a TV with DSTV, so you don’t have to miss a moment of the action. The best part of Tierhoek is that it’s situated so close to the Robertson Wine Estates which means easy access to great wine tasting venues and good food. You can head to any of the great wine farms in the Robertson Valley to taste the wine and food that they have on offer before heading back to your cottage or house on Tierhoek for a family braai or romantic dinner on your veranda. Remember to bring along your favourite wine from the day’s wine tasting because what’s a night under the stars without a good glass of wine? Adventurers and dog lovers look no further, Miskloof is for you. There are so many activities to choose from that you’ll have to come and stay a week on the farm to do them all properly. The activities you can join in on include quad biking, hiking, mountain biking, endurance trails, bird watching and swimming, to name but a few. The farm is also pet friendly, which means you can take your dogs on a walk through the farm or let them explore on their own, don’t worry they won’t bother anyone as there will be nobody around for miles. The farm only has one house for hire which means you and your friends will have the farm all to yourselves, which makes the farm quite an exclusive getaway. Like some of the other farms on this list, Miskloof does not have electricity, which means that guests get a real old style farm experience. There is no cell phone reception on the farm either which will keep your kids off their phones, forcing them to look for some adventure on the farm. The farm comes alive when hundreds of flowers bloom from June to September every year, turning the farm into a colourful floral wonderland. The 12 people that the house can accommodate will all be at a loss for words when they see the view from the sun-downer deck. The elevated deck gives guests a spectacular panoramic view over the Breede River Valley, the deck is what brings people back time and again. The owners of Petersfield have taken great pride in the high level of accommodation that they provide to clients and it really shows. The houses are all simply but beautifully decorated with modern furniture and everything always looks clean and new. There are four cottages in which you can stay; most of them are set on a hill which gives them beautiful views over the valley and the colourful orange orchards below. The best time to visit this farm is during spring when all the orange trees are in full blossom and the sweet smell of the citrus fruits dominates the air. Your dogs will love this place as there is plenty space for them to run around and a dam for them to swim in. The cottages all have a private swimming pool for you to relax in during the hot summer days and most of the cottages don’t have electricity, but they have gas operated kitchen equipment and geysers, which will make your stay more than comfortable. Near to the farm in the Cedeberg Mountains you can go and view old bushman cave paintings, something for the history buffs to enjoy. 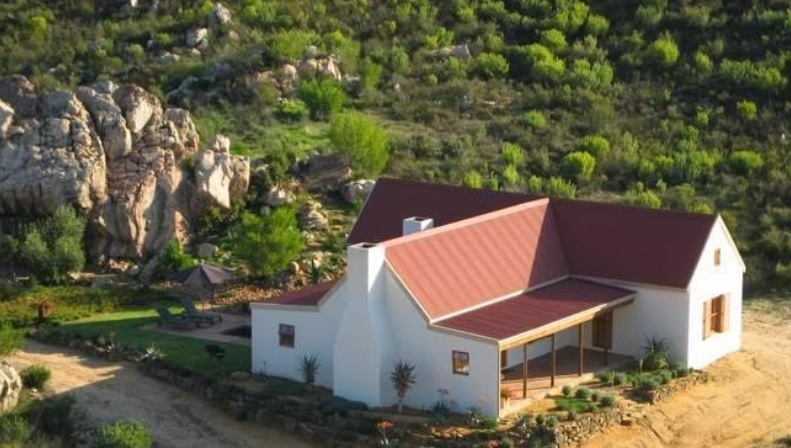 The Dassieklip Cottage provides a modern style farm escape with air-conditioning, electricity, a microwave, Jetmaster fireplace and a TV available for visitors to use as they please. If you’re looking for eco-friendly accommodation then the Stonehaven Cottage is perfect for you as the cottage is powered by solar energy. If you want to go on a farm breakaway but you don’t want to give up your modern comforts then Petersfield is for you. 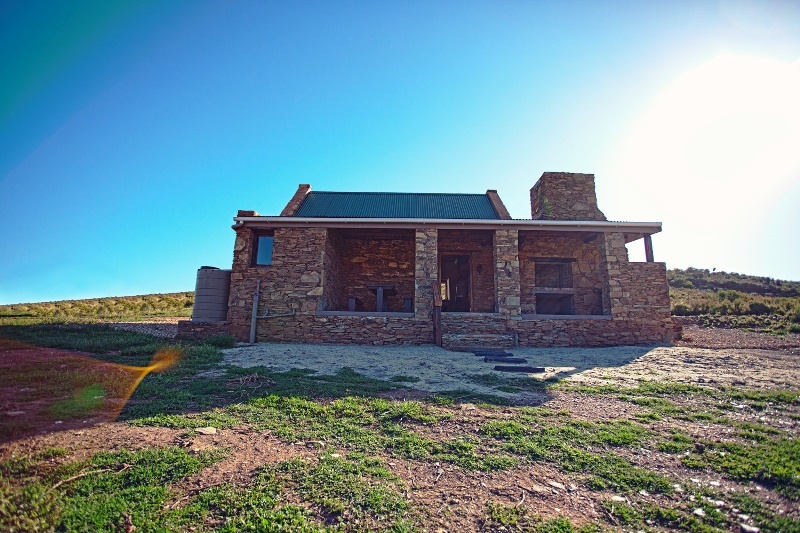 Situated just outside of Bredasdorp, Appelkooskop is a newly renovated two bedroom cottage that can sleep up to 4 people. The cottage has no electricity, but it has a fully equipped kitchen with a gas stove and fridge. Come rain or shine the fires will always be burning at Appelkooskop, either inside, next to the dining table during the cold winter nights or outside on the patio during the warm and festive summer nights. “Off the beaten track” is a phrase that comes to mind when one thinks of Appelkooskop. The recently renovated cottage is set in a secluded area on a working sheep farm on the side of a hill, giving the cottage a beautiful view over the evergreen farm. Like many of the farms above there is no cell phone reception in the cottage, you have to walk a few feet away from the cottage in order to get reception, which means that the silence of the farm won’t be interrupted by a ringing phone. The interior of the place is decorated with stylish old style furniture which gives the cottage a unique feel. If an “off the beaten track” experience is what you’re looking for then Appelkooskop is for you. It feels like you climbed into a time machine and headed back into the Georgian or Victoria era when you visit Whipstock Guest Farm. The owners of the farm have kept the farm as original as possible which has kept the rural charm of the farm intact. The farm has two self-catering cottages and three bed and breakfast units available for hire. 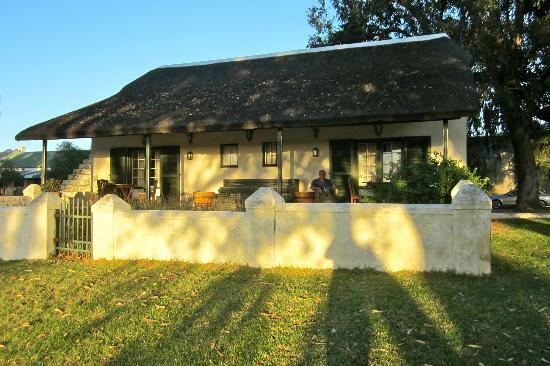 The original homestead of the farm, Rietvlei Cottage, with accommodation for 6 people in large bedrooms and a spacious lounge is the biggest cottage on the farm. The cottages both have bathrooms, fully equipped kitchens and indoor fireplaces. There is a common room for guests, which has a small bar area, large fire place, dining room and television with DSTV. Outdoor activities that guests can join in on include swimming in the dam, canoeing, hiking and mountain bike rides. You can also go to the historic town of McGregor that has picturesque little streets and historical buildings to explore. There are also numerous wine farms at which to do wine tastings and cellar tours. Those guests who don’t want to worry about making food can request that the staff of the farm make them dinner and breakfast for the duration of their stay. The experience of staying at this farm is as close as you can come to experiencing Victorian style accommodation and hospitality. Slow down the pace of life and experience old style hospitality at the Whipstock Guest Farm. The small and unassuming town of Botrivier, situated around 90 minutes by car outside of Cape Town, has always been a popular pit stop for people heading to the garden route or Hermanus from Cape Town. The legendary Botrivier Hotel is the town’s main attraction, with bikers and travellers stopping over for a drink over weekends on the desk outside the hotel’s 100 year old bar. But thanks to places like KolKol Mountain Lodge, Botriver has become more than just a pit stop, it’s become a destination in its own right. KolKol Mountain Lodge consists of 8 log cabins, build high up in the mountains off the Van der Stel Pass outside of Botrivier. The log cabins were constructed from mostly alien vegetation from the farm that KolKol Mountain Lodge is situated on. The cabins can sleep between 2 and 6 people. Each cabin comes with a fully kitted kitchen, outdoor braai, deck that overlooks the valley below and the pièce de résistance, a private outdoor hot tub. The custom designed KolKol hot tubs use a wood fire stove to heat the water to a maximum of 38 degrees Celsius. The hot tubs are built on the edge of the decks, giving them an unrestricted view over the valley below. The cabins are extremely popular and one has to book months in advance for accommodation over weekends. 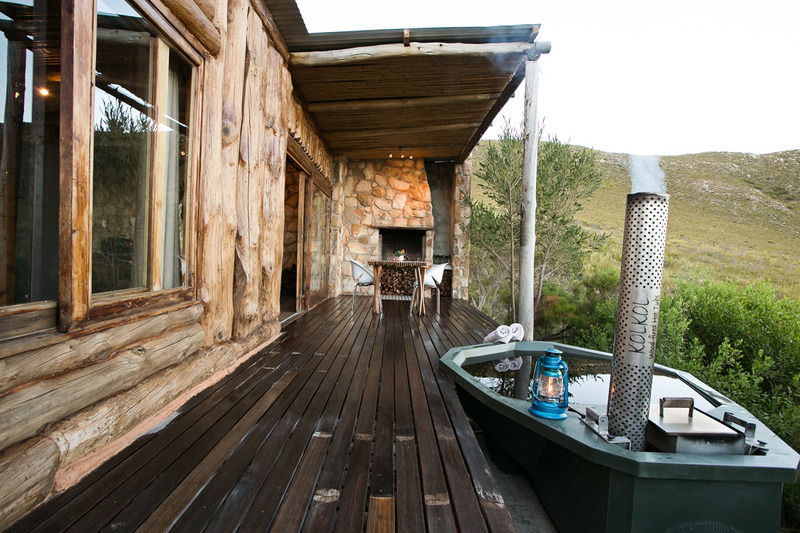 So if you want to soak in a warm tub with a glass of red wine in hand on a drizzly winters day in the Overberg mountains, be sure to book your KolKol Mountain cabin today, before availability runs out.